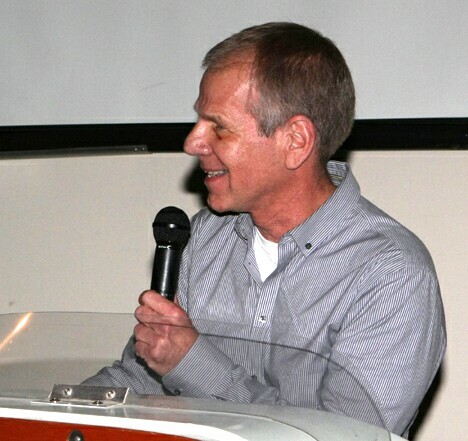 Family, friends and fans of Fred Leland packed the Hydroplane and Raceboat Museum in Kent on Sunday June 3  to share memories and stories about Fred Leland's long career as an Unlimited driver and owner. Steve Montgomery introduced a dozen of Fred's friends, drivers and family members who shared stories and memories. The big gathering enjoyed an audio/video presentation by Chris Denslow that brought back many memories from Fred's long career..
to the 1999 Gold Cup. 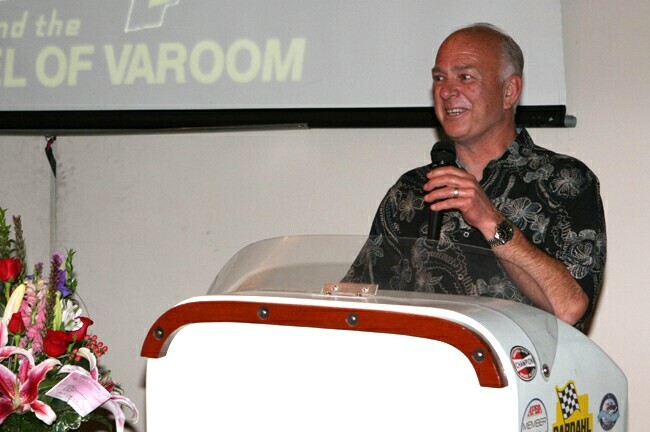 The entire boat racing community is mourning the loss of Fred Leland, whose courageous battle with cancer ended quietly May 21 at his home in Kirkland, Washington. He was 74. In a career spanning more than three decades as a driver, owner, builder and one of the sport's great innovators, Fred Leland became one of the most important figures in modern Unlimited Hydroplane racing. His team, Leland Unlimited, won 17 races, including two Gold Cups, and a national championship. Fred Leland was a fixture on the Pacific Northwest Limited Inboard circuit for many years. He made his Unlimited debut at the 1978 Seattle Seafair Regatta as the rookie driver of Bob Miller's Miss B & L Plumbing. At Seattle in 1983, Leland was driving an Ed Karelsen-designed hull named KISW Miss Rock. He won the Consolation Heat but was flipped out of the boat during the Final Heat. (This was in the days before safety canopies.) Fred was not seriously injured but that was the end of his driving career. As a designer, Leland experimented with a number of interesting concepts. These included a hull powered by a massive 2,500-cubic-inch Packard PT Boat engine. In 1992, Fred upgraded his program with a new hull, powered by a Lycoming turbine engine. With Nate Brown as driver, the craft was instantly competitive. Brown, who went on to a successful career as a driver and team owner said, "Fred is like a dad to me. He trusted me to build a boat for him and then he even trusted me to get qualified and run his boat. I race today because of Fred …and I appreciate all he has taught me. I feel honored to be in the list of drivers who got their start with him. I am blessed in so many ways and knowing Fred Leland is one of them." Scott Pierce was an early Leland driver. Some of the Unlimited sport's most respected chauffeurs have taken a turn behind the wheel of a Fred Leland race boat at one time or another. In addition to Brown, these include Chip Hanauer, Dave Villwock, Mark Evans, Mike Hanson, Scott Pierce, Terry Troxell, and Greg Hopp. Leland recorded his first Unlimited victory at the 1994 Texaco Cup on Seattle's Lake Washington with Villwock as driver. Fred's most successful season as an owner is 1996 when his PICO American Dream swept the competition, claimed six victories, and won the National High Point Championship, also with Villwock. The 1997 season was another triumph. With Mark Evans at the wheel, PICO American Dream won four races in a row at the Tri-Cities, Kelowna (British Columbia), Seattle, and San Diego. By far the most memorable moment of 1997 occurred at Seattle. After winning Heat 1-B, Mark flipped upside-down in Heat 2-A. Evans was uninjured and rebounded to win the Final Heat. Leland drivers Scott Pierce, Mark Evans, Chip Hanauer, Jack Barrie, Greg Hopp, Jeff Bernard, Nate Brown, JW Myers & Jerry Hale with Jackie Leland. Never before in the history of Unlimited racing had a driver flipped a boat upside-down and come back to win the race, all on the same day. 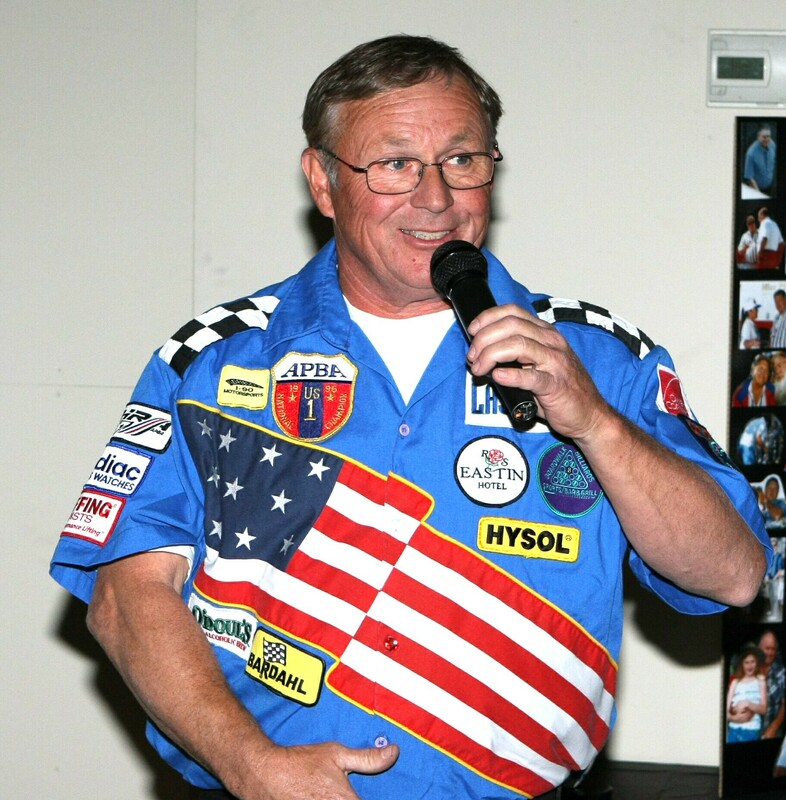 In 1999, Fred caught the racing world by surprise when he lured Lee "Chip" Hanauer–the winningest living Unlimited driver at the time–out of self-imposed exile to work his particular magic for the Leland Unlimited team. Chip hadn't driven a U-boat in three years. Hanauer, nevertheless, got back into the spirit of things rather quickly. He piloted Miss PICO into the winner's circle at his debut race in Lake Havasu City (Arizona), and went on to win at Madison (Indiana), and Detroit (Michigan). The Detroit race was particularly noteworthy. This one was for the APBA Gold Cup–the ultimate prize–that Leland had won once before in 1996. The 1999 Gold Cup is perhaps Fred's finest hour as a hydroplane racer. The boat had sustained damage when it scraped a sponson on a freeway overpass while en route to the race site. Miss PICO lost a whole day (Thursday) of valuable testing time while the crew, headed by crew chief Ken Dryden, hurried repairs. On Friday, a stiff breeze cursed the Detroit River with white caps and waves and another test day was lost. The repaired Miss PICO didn't make it into the water until race day morning. But the Leland team and Chip Hanauer nevertheless demonstrated their championship mettle and pulled off a classic victory in the race of races. Fred built no fewer than eight turbine-powered Unlimited hulls between 1992 and 2000. But he never gave up on internal combustion engines for Unlimiteds–including automotive engines. After several years of development, Leland hoped to water test just such a craft in 2012. The last appearance in competition of a Fred Leland-owned hydroplane occurred at the 2011 Oryx Cup/UIM World Championship in Doha, Qatar, on the Persian Gulf. The team placed third overall with Greg Hopp as driver. Condolences and memories have come from friends and competitors alike, including five time H1 Unlimited Driving Champion Steve David, who called Leland, "One of the toughest competitors I ever faced." Then added, "As so many of us have discovered in life, one's exterior may be gruff, but the soul is where beauty resides. There will be an immeasurable void left by the loss of the untold generosity and kindness of Fred Leland."